Perth is the capital city of Australia’s largest state, Western Australia. This city, which is situated on the banks of the Swan River, is the most remote city in the word (the city that is farthest from any other major cities). Despite its distance from other major urban areas, Perth is full of culture. Read on to discover the best places to drink in the city. Compared to the likes of Sydney or Melbourne, Perth is a relatively small city, but that doesn’t mean that it hasn’t got a range of bars that offer great drinks. A great example of this is Frisk Small Bar Northbridge. 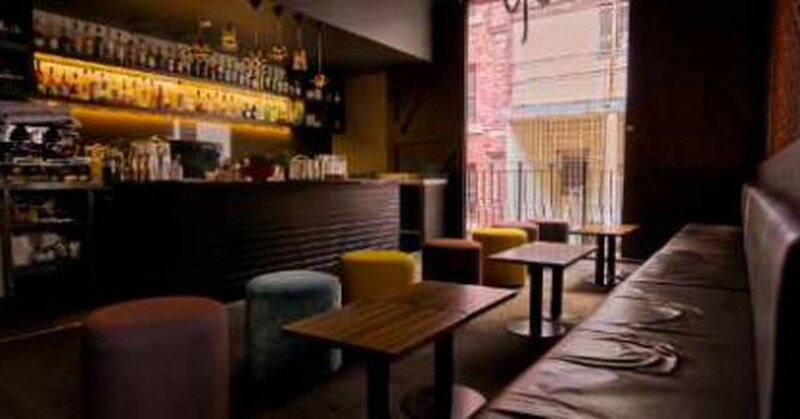 Located in the center of the CBD, Frisk Small Bar is, as the name suggests, a small bar. But that’s not all it is. This bar is one of the leaders in cocktails, specializing in gin. If you’re a long-time gin lover, or just a casual appreciator of cocktails, this bar and its relaxed atmosphere invites you to try their creations. Based on institutions from the 19th century that offered a place of learning and education, Mechanics Institute is a modern bar where you can enjoy a relaxed drink on their rooftop terrace, and maybe try one of their delicious burgers. On top of offering contemporary style cocktails, you can also find a range of great Australian wines that are produced in the region, along with some Australian craft beers that you are sure to appreciate. One of Perth’s more rambunctious rooftop bars is The Aviary, which is a great place to come with a group of mates for a few afternoon drinks and hang out, as well as being the perfect bar to visit at the beginning of your night, before the party gets started. This rooftop bar is casual yet smart, and provides great views of Perth’s city skyline. Keep up to date on their website to find out when there are live bands, musicians and DJs playing. If you’re looking for somewhere in the center of Perth where you can find a great beer, Northbridge Brewing Company is the place to go. This bar and restaurant has a thorough and comprehensive selection of beers, highlighting Australian craft beers, as well as their own range of brews which are served on tap. Try their tasting paddle, which offers 150ml tasters of each of their four brews. Located in the center of Perth is an incredibly chic and contemporary bar. Helveticagives a new meaning to a word that is derived from the Latin name for Switzerland, and is shared as a name by the common sans-serif typeface. Helvetica is a bar that specializes in whiskey, arguably one of the more sophisticated drink choices. The menu offers a range of different spirits from around the world, and they even provide whiskey tastings of four expertly chosen varieties, so that beginners can understand and improve their appreciation of these drinks. From live music to a huge range of beer, and classic European cuisine, Belgian Beer Café is designed in the style of a 1930s traditional beer cafe in Belgium, a country that is known for its great beer. Belgian Beer Café successfully serves Perth’s need for great European beer that can be matched by the equally delicious European cuisine. The beer list is ten pages long and includes beers from throughout Europe as well as a decent range from other continents and local Australian beers. 1907 is one of Perth’s premier restaurants for fine dining, offering a globally-influenced contemporary experience in a classic fashion. Just below the dining room, in 1907’s basement, is the 1907 cocktail bar. The list of vibrant cocktails will tantalize you, using liqueurs, bitters, syrups and sorbets that are made in-house, to be mixed with only the best quality spirits, including a range of some of the rarest whiskies, cognacs and dark rums. Whether you’re into ’80s and ’90s music on a Friday, or you’re ready to party to some of the latest pop tracks on a Saturday, Mint is the club for you. Situated in the center of Northbridge, this nightclub stays open late, so you can be sure that your party won’t be cut short. This club offers a great party atmosphere that attracts a younger crowd, and has a strict ‘no bad attitudes’ policy, meaning that you’re sure to have a great night. One of the top gay bars in Perth is the Court Hotel, offering its space as a nightclub and bar that welcomes anyone, regardless of gender or sexuality. This bar is open every night of the week, and accepts everyone, as they are as long as they’re there to have a good time and have a good attitude. Come down on Friday or Saturday if you want to really party, otherwise check it out on Wednesday nights for Drag Factory, the night of the week for drag shows and drinks specials. Take your first steps into Air Nightclub, and it will take your breath away. This nightclub is focused on style and elegance, from the modern decor and furniture to the cool low-key lighting and the well stocked bar, it’s really a first class experience. If you’re looking for a truly classy night, where you can party listening to some of Perth’s hottest DJs, this is the place to go. Check out their website to see what events are coming up and which DJs are playing.